When doors don’t close right, they cannot be locked either. To avoid security problems, call us for door repair in Markham, Ontario. We are the locksmith to turn to not just with your lock and key related problems but with door trouble too. And that would include any door – from the front door of your home to security entry points at your business and screen doors, we are at your service for their repair. Depend on Markham Lock & Key Service for your door needs. 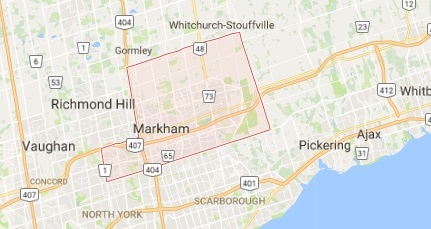 We go above and beyond to serve our customers in need of residential or commercial door repair in the Markham community. If your door demands a small push in order to close well, don’t let the problem get worse. Call us. Did you try to close the door but it won’t close right? Does the door seem to be misaligned? We are here to cover all your door service needs and in a timely fashion too. Contact us for emergency door repair. 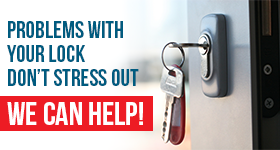 When the door is giving you troubles and won’t shut in order to get locked, we will have a locksmith to your place as soon as possible. So pay attention when you lock. Sometimes, the door seems to close alright but if you don’t hear the usual clicking sound the lock makes, check if it’s locked. If the door is out of alignment, the bolt won’t be able to get into the strike and won’t lock. Worry not. No matter what problem with the door you are faced with, a locksmith will fix it. Want screen door repair? Need to fix the lock of the back door? Call us for the repair of any door type and expect a tech to serve your needs promptly. Equipped properly and experienced with all door types, the pros can align your door, replace its broken hinges and fix any problem that will jeopardize your security. Is your door in a bad shape or too weak to resist attempted break-ins? Call us for door replacement. Don’t take chances with hollow doors and warp materials. If the door is not durable, the locks alone won’t be able to resist the force of the burglars. Doors and locks go hand in hand and we can go too. 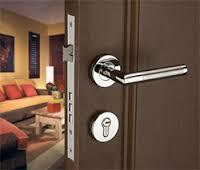 So do call us for lock and door repair Markham services and finally feel secure.